We are very happy to introduce you to Kate Frisher, who joined Breast Cancer Action staff as our Campaigns Coordinator in July. Tell us a little about yourself and what brought you to BCAction. I’m originally from the Bay Area and have spent the last seven years in Boston where I completed my B.A. in International Affairs and Political Science. My first internship was at a public relations firm where I was working with nonprofit healthcare clients at the height of the Affordable Care Act implementation. This sparked my interest in health policy, which I continued to pursue in my first job working at Health Care For All, a Boston-based nonprofit focused on state-level progressive health reform. During that time, I developed my passion for social justice and feminism as an anti-sexual violence organizer working on college campuses. When I decided to move back to California after my mom was diagnosed with breast cancer, I knew I wanted to continue working in social justice advocacy with a focus on healthcare and health policy. 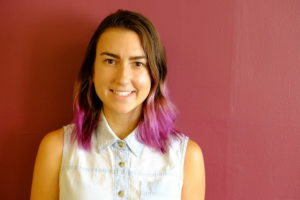 It was kismet that the Campaigns Coordinator role opened up at Breast Cancer Action at the same time. I’d first learned about Breast Cancer Action when one of my college professors screened Pink Ribbons, Inc. in her class. I’ve respected the organization ever since. I was attracted to Breast Cancer Action’s strong commitment to social justice and their radical, unwavering activism – so few organizations are willing to call it like they see it. It’s what makes Breast Cancer Action unique. Plus, I was really excited about doing campaigns work for an organization that not only creates space for anger, but encourages it and turns it into action. What most inspires/excites you about BCAction’s work? I’m excited to work at an organization that applies such a strong social justice lens to their work and has an unapologetic feminist praxis. Breast Cancer Action really takes an intersectional approach to the issues and is unafraid to address and name root causes of breast cancer, including racism and other systems of oppression. One of the most inspiring things about Breast Cancer Action is how the organization is able to tie all of the threads together to explain how and why breast cancer is a social justice issue. What are you looking forward to working on/what do you think are the most pressing things in breast cancer? 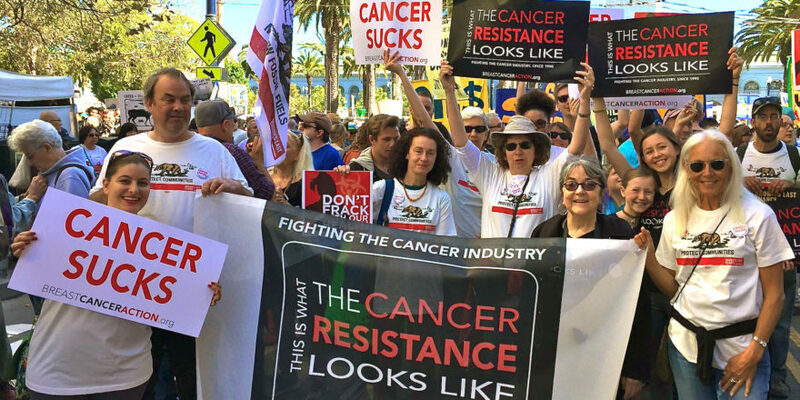 Coming from a health policy background, I’m new to the breast cancer movement and environmental advocacy, but I’m passionate about our anti-fracking work because of the unique role Breast Cancer Action plays in that field. Few breast cancer advocacy organizations are working on environmental degradation, despite the fact that it’s a huge contributor to breast cancer risk and development. Similarly, few anti-fracking organizations are centering on breast cancer. I’m excited by our anti-fracking work because of the opportunity it provides to build strong, cross-sector coalitions and elevate the voices of women living with and at risk of breast cancer in environmental advocacy while showing the broad-based support for environmental protections. I’m also excited to continue our work on ethnic and racial health inequities. As breast cancer diagnosis rates rise for women of color, the gap in treatment and outcomes widens. I believe addressing this issue by naming underlying systems, like racism and white supremacy, and working with racial justice advocates/allies is critical to breast cancer advocacy.